It isn’t surprising that people are confused about nutrition when the media presents different findings as gladiatorial battles: vegetarian versus carnivore, high-fat versus low-fat diets and, more recently, low-carb diets versus high-carb. But, when you dig down into the data, many of these studies are reporting surprisingly similar things – and this is the case with the latest studies reporting on carbohydrates and health. Most of the supposedly contradictory findings on carbs come from two large observational studies, published a year apart. One is called PURE, the other, ARIC. Headlines for the PURE study, published in August 2017, said a low-carb diet with more fat was the answer to a longer and healthier life. But that finding was later contradicted by the ARIC study, which led to headlines saying that a low-carb diets could reduce your life expectancy by five years. In fact, these “contradictory” studies had strikingly similar results – they both found that getting around half of your energy from carbs is associated with the lowest risk of dying early. 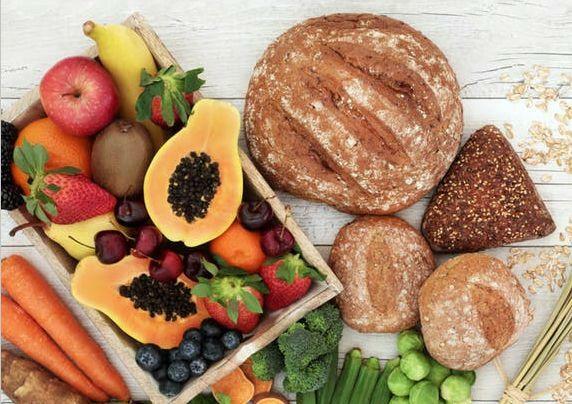 The view that a moderate amount of carbs is optimal for good health is supported by the press release on the PURE study from the researcher’s university (McMaster University in Canada) as well as by reporting in the scientific press. So where did headlines such as “New study favours fat over carbs” in the New York Times come from? The PURE study, which examined the eating habits of about 136,000 people from 18 countries and checked on their health seven years later, found that the 20 per cent of people with the lowest carbohydrate intake had a 28 per cent lower risk of death during the study period. But the people in the lowest carb category still got 46 per cent of their calories from carbs, which is not dissimilar to the UK guideline recommendation. So the study did not favour fat over carbs as the headline suggested. What counts as high or low-carb? Before considering the amount of carbs that is optimal for our health, we first need to know how low-carb and high-carb are defined. Studies typically describe carbohydrate intake as a percentage of energy, instead of an amount in grammes. There is no agreed definition of what constitutes low or high-carb intake – but above 45 per cent of total energy intake is generally considered high, and below 26 per cent is low. However, the PURE and ARIC studies used different definitions. PURE described intakes above 60 per cent as high-carb – and linked this level to an increased risk of premature death. In the case of ARIC, which looked at the eating habits of about 15,000 people in the US for 25 years, it considered 70 per cent and above to be a high intake. Interestingly, this variation was also seen when it defined low-carb intake, which in ARIC was classified as any carb intake below 40 percent of total energy. This is much higher than many advocates of low and very low-carb diets recommend, typically 5-10 per cent of dietary energy, or around 50g per day. Although the ARIC paper discusses low-carb diets and restricting carbohydrates, it did not look at people who were actively pursuing a low-carb diet for weight management or for managing type 2 diabetes, which is very different. In this case the evidence suggests that carefully planned, individualised approaches, including very low carb diets, can be safe and highly effective. The Keto diet is an example of a very low-carbohydrate diet. Both the ARIC and the PURE study found that there appears to be a sweet spot of about 50 per cent of energy from carbohydrate, where the risk of dying during the study was lowest. Anything more or less than this was associated with an increased risk of premature death. It seems that moderation is key, not just with carbohydrates but also fat. A deeper look at the ARIC study suggests that the potentially negative effects of a lower carbohydrate diet can be moderated if the diet is more plant based, despite containing more protein and fat, such as a diet rich in avocados, olives, nuts and seeds. This suggests there is something more than just carbohydrate, protein and fat in our food. The logical conclusion from these studies is that we should think more about overall diet rather than single macronutrients. Indeed, this is what the Food and Agricultural Organisation of the United Nations recommends.